Sound like a plot stolen from a Twilight Zone episode? Not exactly. I’m describing “The Time Element”, an episode of CBS’s Desilu Playhouse. It aired on November 24, 1958, the year before TZ debuted. And it was written by Rod Serling. “The Time Element” is often called the unofficial pilot for The Twilight Zone — with good reason. Serling intended it as a pilot for the series, but CBS wasn’t convinced it would work. They bought his script, then shelved it. It wasn’t until Desilu Playhouse producer Bert Granet decided that his series needed the prestige of a Serling script that it saw the light of day. It took Desi Arnaz’s personal support to seal the deal. 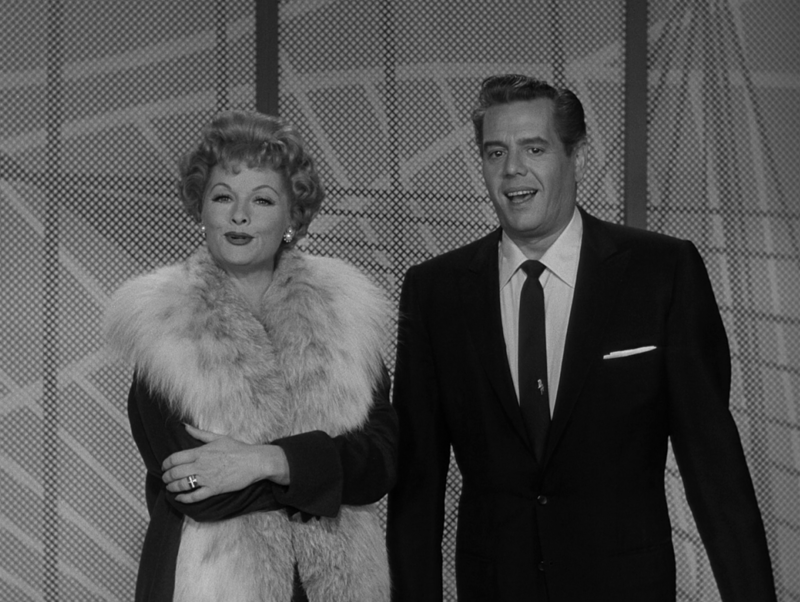 So if you’re an I Love Lucy fan who also enjoys The Twilight Zone, you can thank Ricky Ricardo for enabling your fifth-dimension fix! CBS executives may have been surprised when the show garnered high ratings and a slew of fan mail, but Twilight Zone fans won’t be. 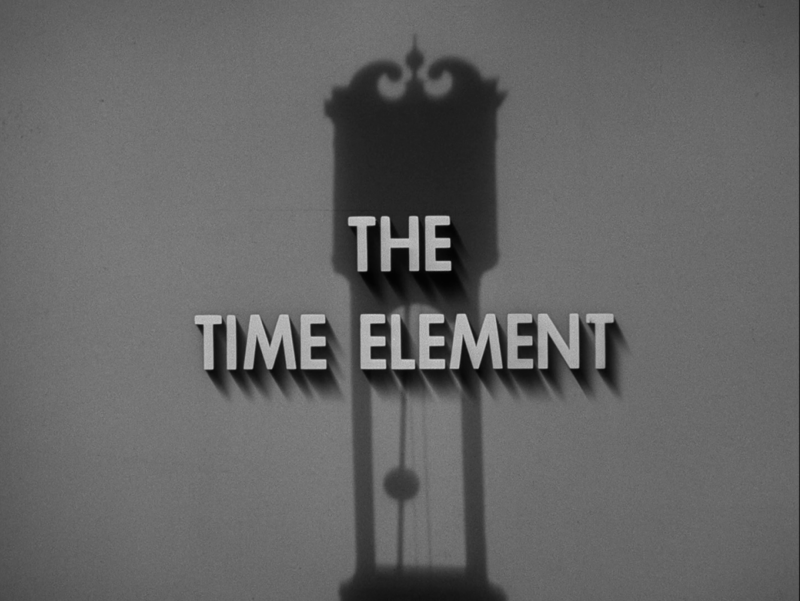 With its bewildered hero, imaginative premise, and Serling-penned dialogue, “The Time Element” plays like a dry run for the series that would follow. Interestingly enough, the two TZs that it most readily evokes, at least when it comes to the recurring-dream motif, are “Perchance to Dream” and “Shadow Play”, both of which were written not by Serling, but by Charles Beaumont. The time-travel aspect, however, is pure Serling. You may notice that I’m not giving more details about the story. That’s because you can watch it for yourself online and on the Blu-ray edition of The Twilight Zone‘s first season. 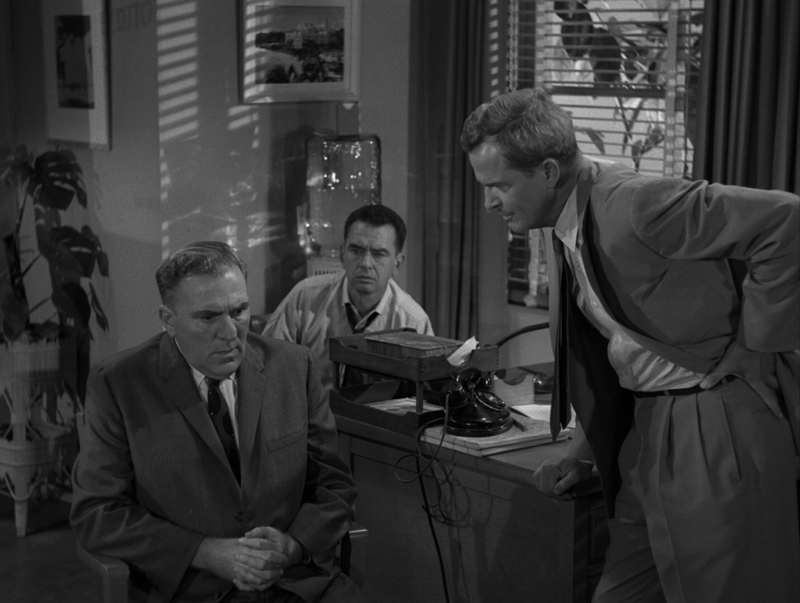 Even if the premise is a familiar one, it’s still a good story — one that convinced CBS to give Serling’s crazy “Twilight Zone” idea a green light. It helped that “The Time Element” was a top-notch production, filled with talented actors. 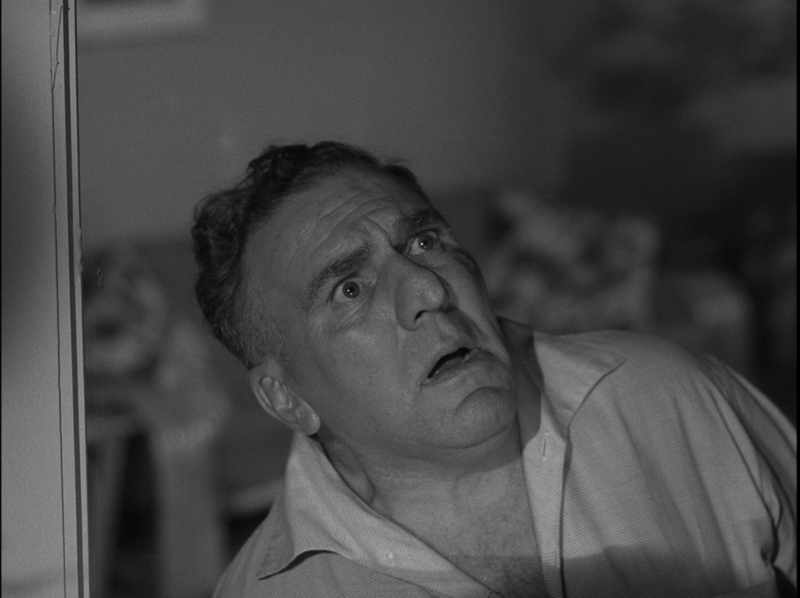 William Bendix, whose many credits included Hitchcock’s 1944 movie “Lifeboat”, is Jenson. Jesse White, the future Maytag repairman, is the skeptical bartender (to be fair, everyone Jenson talks to is skeptical, and who can blame them?). 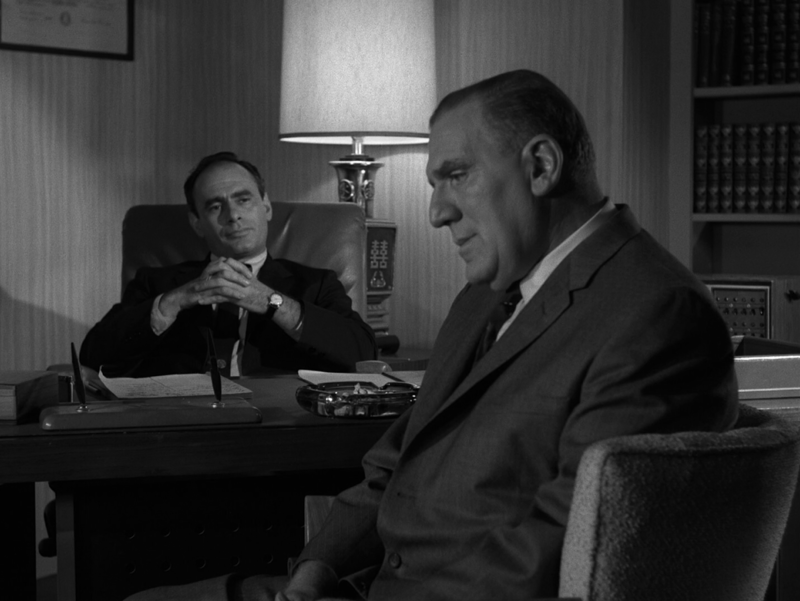 Martin Balsam, who would later star in two TZs (“The Sixteen-Millimeter Shrine” and “The New Exhibit“) and play the doomed detective Arbogast in Hitchcock’s “Psycho”, is the psychiatrist. You even see Don Keefer, several years before Anthony Fremont turned him into a jack-in-the-box on TZ’s “It’s a Good Life“. It may seem strange that CBS would be so reluctant to air “The Time Element”. But we have to remember two things. One is that Serling had become famous for writing straight dramas — stories with considerable punch but no supernatural elements. The second is that open-ended stories with twist endings were definitely not in vogue at the time (at least on TV). As a result, CBS execs reacted to Serling’s interest in fantasy the way Ernest Hemingway’s publisher would react if he said he wanted to write a comic book. At the end of “The Time Element”, Desi Arnaz gives the audience his own theory about the ambiguous ending, then invites viewers to do the same: “Any of you out there have any other answers? Let us know.” I don’t know what other theories they shared, but viewers made one thing clear: They liked what they saw. So with apologies to Earl Holliman, the star of TZ’s first episode, let’s tip our hats on Pearl Harbor Day to Pete Jenson, an unheralded fifth-dimension pioneer. Posted on 12/07/2015, in Rod Serling, Twilight Zone and tagged Desi Arnaz, Desilu Playhouse, Martin Balsam, Pearl Harbor, Rod Serling, The Time Element, Wiliam Bendix. Bookmark the permalink. 16 Comments. Another great job of filling in the backstory on this wonderful series. I was fortunate to be able to see this, several years ago in New York at the Museum of TV and Radio (now the Paley Center). We have been members of the museum for many years, and they had a showing of this on the big screen in their auditorium. My best friend (a Zone fan) and I took the afternoon off and took the train into NYC for a quick meal and a great show. Even as they introduced the story at that viewing, there seemed to be some confusion as to whether or not is was the pilot or the sorta-pilot. But seeing it on a large screen was amazing. That’s great that you got to see it that way, Dan. As crisp as the show looks on Blu-ray, it must look even better on the big screen. And yes, the pilot/sorta-pilot aspect is understandable. It was meant as a TZ pilot, but once it was bought and staged as an episode of Desilu Playhouse, it obviously couldn’t serve as a first episode of the subsequent series! Thanks for bringing back such a good memory and filling in all the missing pieces. One of the reasons we joined the museum was to show my (then about 13) some episodes that she had never seen. This was actually packaged with later TZ’s in the syndicated package as a two part TZ episode. It’s one of Bendix’s best performances. It certainly is. I’m glad they made the show available on the S1 Blu-ray. Seeing this just reminded me…my son made a reference to “Time Enough at Last” over the Star Wars’ shoes for little kids at the store this weekend. Pretty clever, I thought, in the moment. Smart kid! And yes, check it out. Hope you enjoy it! Great! I will try to check it out! Fantastic! This is a must-see for everyone who is a fan of TZ and Rod Serling. Agreed! Glad you liked it. 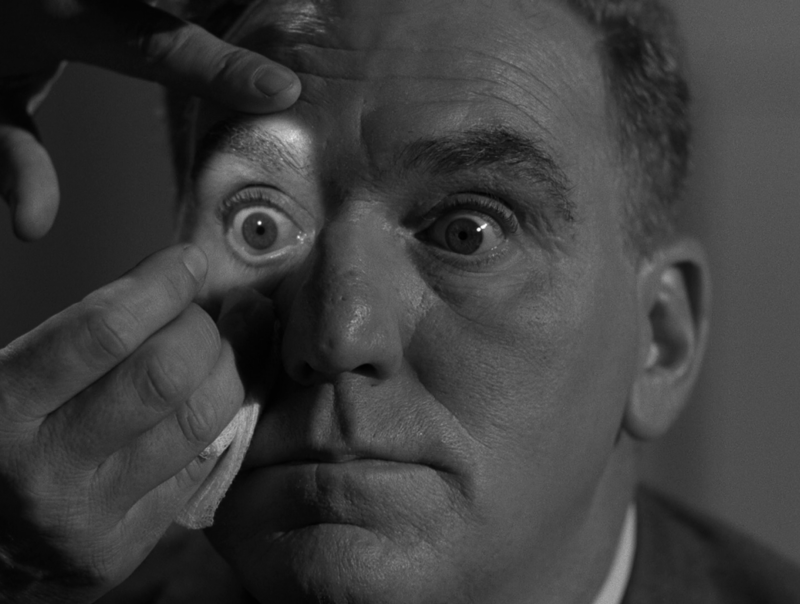 While waiting (and waiting, and waiting…) for the release of Forever on DVD, why not take a trip – to the Twilight Zone? A show that Forever often reminded me of, and must have been inspired by, at least in part. This is incredible. I just watched it for the first time. I loved it, but two things threw me off a bit and I want to get your take. I don’t want to give anything away to anyone (although if you’re reading these comments you should just watch the thing) but: 1) At about 8 minutes in, he includes October in the “months with 30 days” list. Do you think this was just a character mistake? It was odd. Clearly October has 31 days. 2) Do you think it was weird that the psychiatrist remembered him? Good! Glad to hear you watched it, and that it appealed. As for your questions: 1) It was definitely a mistake. As you probably already know, the actual rhyme he misquoted starts “Thirty days hath September,” not October: https://en.wikipedia.org/wiki/Thirty_days_hath_September 2) It’s a bit funny to be discussing what seems “weird” or not with such a story, but I would say no. I think Jensen DID visit him in some spectral way, and that even after the memory of their conversation had faded, some tiny vestige remained — just enough to tickle the back of his mind. That may or may not be correct, but hey — part of the fun of such stories is the fact that we can speculate. Thanks for stopping by and commenting!